1- We have received this message from a very shrewd Sunnite man who pretends to be smart enough as if he could refute and undermine Quranism and our reformist views; we thought at first to ignore him as the refutation of his wrong views can be found in our book about Isnad and hadiths and our book titled "The Quran: Sufficient as a Source of Islamic Legislation" (found in English on this link:http://www.ahl-alquran.com/arabic/book_main.php?main_id=92). Yet, because this shrewd man, who pretends to be a Quranist, has assumed he could undermine our person as a thinker and to cast doubt on our Quranist vision, we have decided to publish his message, which is, by the way, filled with spelling mistakes in Arabic, followed by our reply. 2- (... Peace be with you, Dr. Mansour ... All Sunnites assume that both Isnad and texts of all hadiths are reasonable, irrefutable, and tenable; Quranists like you and me reject hadiths altogether as we maintain that they are attributed falsely and forcibly to Prophet Muhammad – peace be upon his soul – after his death. Yet, I find it very difficult to deny many hadiths which match the Quranic verses perfectly; I reject only the ones that flagrantly contradict the Quran ... Besides, why should Quranists like myself would believe so much, without any reservation or exception, all the religious views of Dr. Mansour who is a mortal whose views can be right or can be wrong, partially or wholly?! Your pondering the Quran might contain grave or slight errors sometimes; your understanding or analysis of many Quranic verses in your articles is never immune against being mistaken or faulty; you are an ordinary man; all people are liable to err; why don't you accept hadiths that match, confirm, and assert Quranic verses, then?! Was Muhammad a silent man all his life?! Have he never pondered the Quranic verses and talked about his own understanding to his contemporaries? Why should we reject hadiths that explain the Quranic verses?! Words and views of Dr. Mansour are not that of a prophet; Muhammad could never have made mistakes in his explanation of Quranic verses in some hadiths; God must have guided him to utter these explanations and allowed his companions to write them down, you know ... You have made a mistake in assuming in one of your videos that the intercession of Prophet Muhammad on the Last Day is a myth, based on this verse: "And do not drive away those who call upon their Lord, morning and evening, seeking His attention. You are not accountable for them in any way, nor are they accountable for you in any way. If you drive them away, you would be one of the unjust." (6:52); the term (accountable) here is not linked to the Hereafter and the Judgment, but to provisions and livelihood in this world to the poor ones; it is wrong of you to refute the intercession based on 6:52, then. your book titled "Intercession between Islam and the Muhammadans" is filled with many illogical points such as.................... ... Prophet Muhammad was not a mere postman to deliver the Quran; he must have explained it to his companions; why do not you see that?! You can hardly expect Arabs at the time to understand the Quran themselves, right?! This does not contradict the Quranic fact that the Quran is a Clear Book; the IQ and the mental capacities of people in all eras vary, and you are fully aware of this fact, I suppose ... I believe in some of your other ideas such as denying the myth of ascension to heaven, etc. Your other mistakes include that you declare as infidels Sunnites who utter the phrase (Muhammad is the Messenger of God) after the testimony of (There is no God but Allah); you dare to accuse the Sunnites of being polytheists/infidels and disbelievers who deify Muhammad; no hadiths assert that Muhammad is a deity or an immortal god! there are 1000 hadiths that assert monotheism and never sanctify Muhammad. I regret that I escaped Wahabis who declare all non-Wahabis as infidels to find Quranists doing the same and declare all non-Quranists as such! How dare you describe Sunnite Muslims as cattle?! The Omniscient Lord God Who knows all people's faith in all eras is the only one Who has the right to describe any disbelievers and Quran-deniers in such a way ... Those who add the name of Muhammad to the testimony of Islam are not polytheists; you are the only one to say so; you have no shred of evidence to support your weird view! Stop declaring Sunnite Muslims as infidels and polytheists; we must win them over to our side! ... I'm sorry for writing such a very long message; thanks for your time ...). 1- This means he disbelieves in the Quran; Quranism, which is Real Islam, is all about obeying God's Quranic command of believing only in One Discourse s God's Word: the Quran; see 7:185, 77:50, and 45:6. Hence, those who believe in other discourses/hadiths/narratives besides the Quran are polytheists and disbelievers. 2- We have mentioned in our previous writings and subtitled-into-English videos that the problem is NOT whether the texts of hadiths comply or match with Quranic verses or contradict them; the problem is to ascribe hadiths to Muhammad centuries after his death as part of Islam; Isnad (or series of narrators of hadiths) is a mere lie and an unstable foundation to make the gullible ones assume that such narratives/hadiths are uttered by Muhammad as part of religion. The Quran is the Only Source of Islam and God is the Only Legislator in Islamic sharia laws; Muhammad never issued laws within religion and he never uttered a single hadith authored/invented by countless men. One must not attribute lies, falsehoods, and fabricate tales to God and to His Celestial Religion. 3- Of course, we have proved in our previous writings that texts of hadiths express the era and environment of the fabricators of such hadiths and their social milieu as well as the political events they had witnessed. Hence, such hadiths have nothing to do with Islam and its Only Divine Revelation; i.e., the Quran. There are no revelations at all granted to anyone after the death of Muhammad; Islam is perfected and completed in the Quran. Hence, hadiths by Malik express his era in Yathreb; hadiths by Ibn Berzaweih Al-Bokhary reflect his Persian origin and the political, social, and religious turmoil of his era. The same applies to hadiths by Al-Shafei, Ibn Hanbal, etc. The only relation between hadiths and the Quran is that hadiths contradict the Quran; earthly/terrestrial religions are formed by Sufi, Sunnite, and Shiite imams in all eras who add countless details/laws/narratives/myths of their own imagination and ascribe them by force to Islam. The same way of forming fabricated religions applies to Hinduism, Judaism, Christianity, Buddhism, etc. 4- We have mentioned that pearls of wisdom by ancient and modern thinkers, philosophers, authors, etc. that might agree with few Quranic verses are NOT to be deemed as part of God's Religion: Islam. Islam is contained exclusively in God's Word: the Quran. 5- Likewise, other messengers conveyed God's religion of monotheism within a Scripture given to them in their own tongues; this religion is now available in its last version in Arabic in the Quran which is addressed to all humanity and is protected by the Lord God till the end of days when the Hour takes place. 6- God has never given any Sunna/hadiths/narratives to His prophets/messengers along with the Scripture; God has given each of them One Book to convey it to their contemporaries; the Book is the only source of God's Religion and God expects that monotheistic believers devote their religion and acts of worship only to Him. Real monotheists avoid man-made religions that are owned by their inventors/fabricators and clergymen and reflect their whims and desires though they ascribe their lies falsely to the Divine Revelation of the Lord God. This Sunnite man writes: (... your understanding or analysis of many Quranic verses in your articles is never immune against being mistaken or faulty; you are an ordinary man; all people are liable to err; why don't you accept hadiths that match, confirm, and assert Quranic verses, then?! Was Muhammad a silent man all his life?! Have he never pondered the Quranic verses and talked about his own understanding to his contemporaries? Why should we reject hadiths that explain the Quranic verses?! 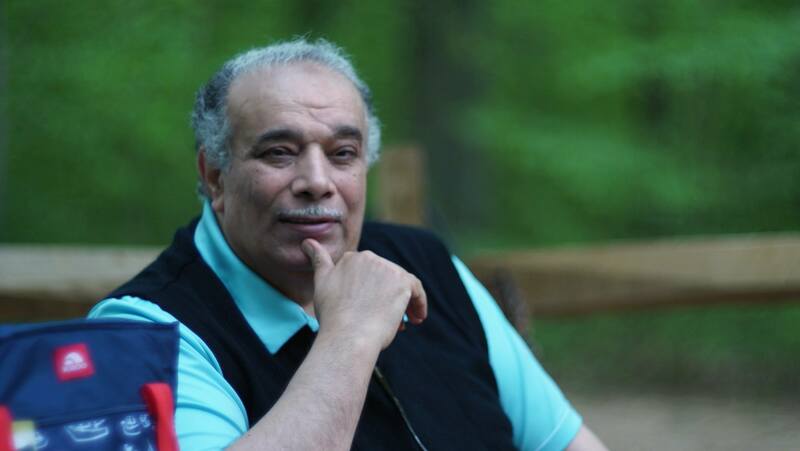 Words and views of Dr. Mansour are not that of a prophet; Muhammad could never have made mistakes in his explanation of Quranic verses in some hadiths; God must have guided him to utter these explanations and allowed his companions to write them down ...). We refute him in the following points. 1- When monotheistic believers contemplate upon the Quranic verses, they ascribe their ponderings to themselves and they are responsible for them; they never attribute their ideas to Islam per se. We, like any thinkers, are liable to make mistakes and to make good points; we have repeated this fact in several of our fatwas, books, and articles ad infinitum ad nauseam. Even when our fellow Quranists draw our attention to any spelling mistakes or misquoting of some Quranic verses in our articles, we correct these articles at once while thanking the Quranists for their help and attentiveness. God's Word, the Quran, is the Absolute Truth; pondering it is the work of limited human brains; errors are bound to occur sometimes; hence, human ponderings are never perfect or absolute; God will reward in Paradise those who ponder the Quranic verses and prove their ponderings using logic and by tracing the Quranic terminology (as well as the cognates and derivations of all Quranic terms) in all verses the Quranic text. God will punish in Hell those who deliberately misinterpret Quranic verses, warp/twist/distort their meanings, and ignore the ones that prove their views/ponderings wrong because such people intentionally repelling people away from God's Path: the Quran. 2- Muhammad never wrote his name as the author of the Quranic text; he received the Quranic Message and he conveyed it as per God's command; this was his only mission; he waited for Quranic revelation to answer questions of his contemporaries in verses that contain the expression (they ask you about........say........); we have mentioned and proved these facts in many books and articles of ours. If Muhammad had his own ponderings, why he did not write them down alongside with the Quran to share them with others?! In fact, he had never uttered a single hadith; all hadiths are authored within centuries that followed his death (i.e., during the Umayyad, Abbasid, and the Mameluke eras only); as for books of interpretation and exegesis, they are filled with nothing but myths that undermine and insult God, the Quran, and Muhammad. 1- Our stance against myths like hadiths/narratives, ascension, intercession, dual/tripe testimony that add names of Ali and Muhammad, penalty of death for apostasy, torment of the grave, stoning others to death, etc. is supported by tens of Quranic verses; our foes and enemies hate our views and they are bent on defending their heritage books of traditions and myths by undermining our person; they cannot refute our ideas as they would not expose themselves as Quran-haters; they prefer fiqh and hadiths to Quranic verses all the time. Readers and viewers are to choose for themselves what stance to adopt: to follow the Quran or the myths that contradict it; the Dominant Lord God will judge all humanity on the Last Day and will settle our disputes in religion; polytheists will be tormented in Hell forever; monotheists will be winners in the bliss of Paradise forever. 2- It is an essential part of all religious calls in the globe to claim to monopolize the Truth in their book(s) and to warn others against Hell-torment and terrible fate in case they would not believe (hence, Orthodox declare Catholics/Protestants as infidels; the vice versa is true; Sunnites declare Shiites and Sufis as infidels; Shiites do the same, etc.). Hence, the Quran contains descriptions and deeds of disbelief/disbelievers and polytheism/polytheists in order to warn people to avoid such practices, notions, and deeds; such descriptions may fit some people in all eras (past, present and future) until the end of days. This is why God mentions in the Quran many parables and many stories of ancient nations and their prophets/messengers to allow us to draw useful lessons; God asserts that His Religion is One Message conveyed by all prophets/messengers: (There is no God but Allah). God asserts in the Quran that most human beings are polytheists and disbelievers who adhere to myths and lies instead of the Truth from Him. This declaring others as infidels serves as a warning to preach others to repent and reform, and NOT to fight and kill others. Sunnite Wahabis assume they have to fight and massacre non-Wahabis after declaring them infidels/disbelievers; this notion is found only in man-made, violent religion of Satan. In contrast, the Quran does not mention names of disbelievers/infidels; rather, the Quran provides descriptions of deeds, notions, and practices of disbelief to be avoided. Quranists do the same to warn living people, especially the Muhammadans; we fear for them and desire they would avoid Hell by converting to true monotheism or Islam: Quranism. We, Quranists, acknowledge absolute religious freedom for all human beings; we bear patiently with those who insult us and wait for God's Judgment on the Last Day; we are against all clergymen and all acts of violence and coercion/compulsion in religion; we never claim to monopolize the absolute truth. We follow this Quranic stance after we preach and warn the Muhammadans: "And say to those who do not believe, "Act according to your ability; and so will we." "And wait; we too are waiting."" (11:121-122). 3- Many mortals (prophets and non-prophets) have been deified after their death (in spite of themselves) within man-made religions of mythology; this has occurred to Jesus, Muhammad, etc. as fabricated religions of Satan ascribe divine qualities and deeds to mortals; the only message of both Jesus and Muhammad has been (There is no God but Allah) and both had been pious monotheists with excellent moralistic level who performed many good deed and served God. the imaginary deities Jesus and Muhammad have nothing to do with historical Jesus and Muhammad mentioned ONLY in the Quran. On the Last Day, Jesus and Muhammad will disown their worshipers; i.e., Christians and Muhammadans, respectively, who have deified them and died as polytheists. 4- The Muhammadans have a large pantheon of godheads and deities: the 4 pre-Umayyad caliphs, companions of Muhammad who committed the Arab conquests, countless 'saints', and other historical figures. The crimes of Arab conquests and the Arab civil war have nothing to do with Islam; their perpetrators disbelieved in the Quran; they have ascribed their grave sins and heinous crimes to Islam; hence, they are worse than secular tyrants such as Hitler, Genghis Khan, Caesar, Mao Zedong, and Mussolini, as such secular tyrants never ascribed their crimes to the Dominant Lord God or to His Religion. Many Quranic verses condemn the type of grave sins and heinous crimes committed within the Arab conquests and the Arab civil wars; hence, such companions are arch-enemies of the Quran and God. Islam is the religion of mercy, justice, and religious freedom; their Sunnite religion of Satan is the religion of looting, massacring, conquering, enslaving, sabotaging, injustice, oppression, arson, invasion, etc., and their unpardonable crime is to ascribe their atrocities to Islam; they have wronged conquered nations and wronged God and His Religion as well by ascribing lies/myths to it. Other generations have venerated, deified, and sanctified such criminals as saints; they have also deified Muhammad for no reason but to protect their lies/hadiths from being questioned by ascribing them to him. Such criminals who invented hadiths like Al-Bokhary are none of our concern; rather, we focus on the book by Al-Bokhary which contradicts the Quran and whose hadiths undermine and insult God, the Quran, and Muhammad. We have proved this in many books, articles, and videos. Our reformist call infuriates the Muhammadans who deify the sinful, murderous 4 pre-Umayyad caliphs; Quranists despise and curse such caliphs who are the arch-enemies of Islam. 5- We never believe in any hadiths; all of them insult and undermine God, the Quran, and Muhammad; besides, God will never give prophets/messengers a second or more source(s) for His Religion at all. Most Muhammadans deify Al-Bokhary and his book though they never read it; they are angry because we have proven in our videos and articles that the Persian man named as Ibn Berzaweih Al-Bokhary is one of the arch-enemies of Islam and he hated the Quran and wished to undermine it as he hated Islam. Our siding with the Quranic Truth and our destroying pagan idols of the Muhammadans infuriate their masses and clergyman who cannot refute us so as not to expose themselves as Quran-hating persons who side with lies/myths that contradict the Quran. Al-Bokhary is an infidel and a disbeliever who ascribed lies/hadiths of his silly book to Islam to undermine it; we never care if this might shock the Sunnite polytheists. 6- Declaring or describing non-Quranists as infidels/disbelievers does NOT aim to urge any sort of violence, killings, boycotting, etc. at all; the only aim is to warn and preach polytheists so as to save themselves by adhering only to the Quran as monotheists by devoting their religion only to God without deifying prophets and non-prophets, the so-called 'saints', and the polytheistic sinners/criminals who are authors of lies and myths. More than 1400 years ago, God has mentioned in the Quran that the Hour has drawn near; on the Day of Judgment, the unjust ones will get to know about their inevitable fate in Hell.